The Coe-Brown Northwood Academy 2018-2019 National Honor Society. 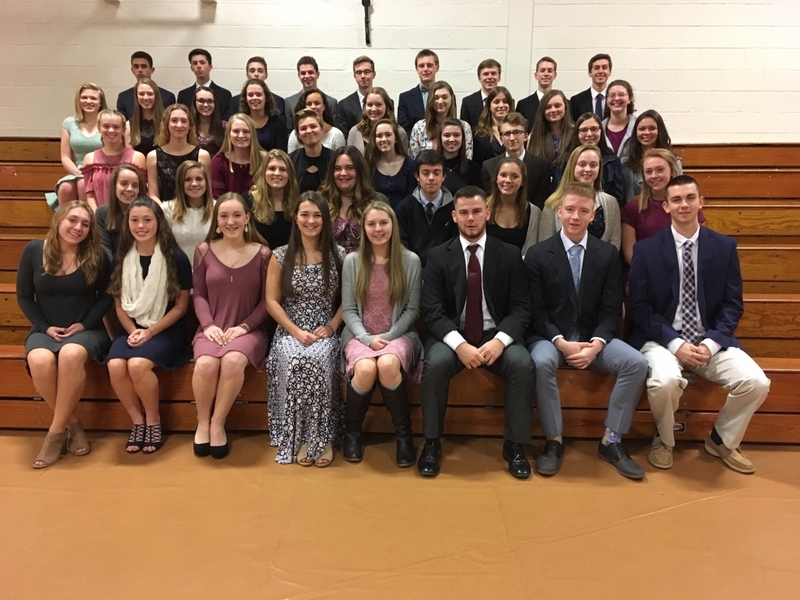 The Coe-Brown Northwood Academy chapter of the National Honor Society (NHS) recently inducted 25 new members to this prestigious national organization. In order to obtain membership into NHS, students must first have a cumulative GPA of 90 or above. Students who meet this rigorous scholarship requirement then have an opportunity to complete an application detailing their accomplishments in and commitment to service, leadership, and character. Once the application process is complete, students’ applications are reviewed by a panel consisting of administration and faculty members and then student scholars are invited to become members based on the panel’s recommendations. The 2018 Induction Ceremony was led by NHS President senior Jacob Rich and Officers seniors Emma Tobbe, Kelsey Pine and Sydney Neuman. Faculty member Mr. Gary Colby provided remarks as the guest speaker for the event and advisor Mr. David Daigle presented awards. New members include seniors Maggie Eaton, Olivia Farrar, Kirsten Gunderson, Benjamin Healy, Delaney Jean and Jackson Noel, and juniors Lauren Best, Codi Boheen, Jaden Boulanger, Benjamin Brieger, Shane Cameron, Riley Colby, Addison Craven, Lauren Curtin, Celia Fogarty, Mirah Johnston, Madison Kriete, Evan Lentz, Elizabeth Libby, Katherine Messenger, Ryan Nester, Madison Tortorella- Lewis, Kathleen Roach, Mary Thoms, and Alexandra Wheeler. These inductees join the other NHS members seniors Elijah Allen, Shayla Ashley, Shealyn Bedell, Susan Burnap, Madison Cunningham, Alice Ewing, Ian Gollihur, Alex Gomez, Colby Hoffman, Alyssa Hubbard, Albert Lapiejko, Lillian Marie, Paige Marston, Shane Marston, Bailey Travers, and Megan Wimsatt. Congratulations to all of the members for their scholarship, leadership, service and character. 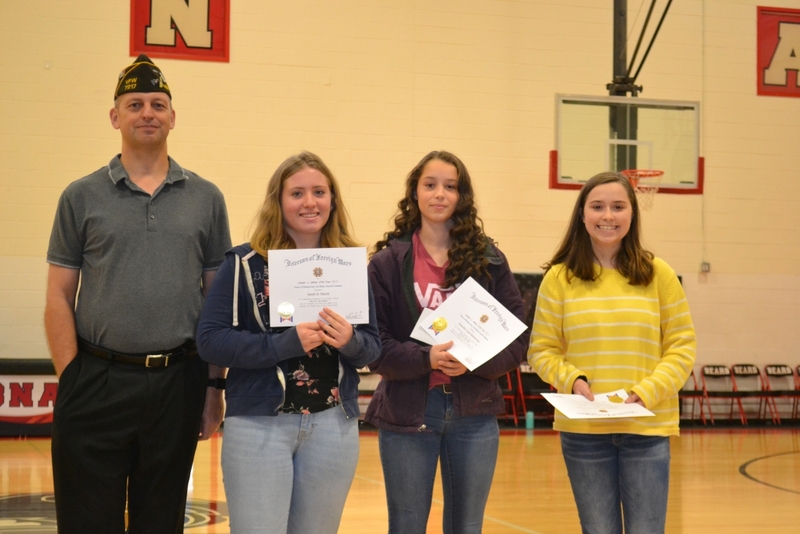 CBNA Voice of Democracy presentation (left to right) Mr. Daniel Barnhart of Northwood VFW with first place winner Sarah Marsh, third place winner Jennifer Bettencourt, and second place winner Mary Katherine Patteson. Coe-Brown Northwood Academy proudly announces the local winners of the Voice of Democracy Essay Contest sponsored by the VFW. Coordinated through Mr. Daniel Barnhart of the Northwood VFW Post 7217, sophomore students in Mrs. Biery’s English classes submitted their audio and written essays based on this year’s topic “Why My Vote Matters”. At a recent school assembly, Mr. Barnhart presented first place winner Sarah Marsh with a prize of $100 and announced that her entry will be submitted to the next level of competition. Second and third place winners Mary Katherine Pattteson and Jennifer Bettencourt also received monetary prizes. Since 1947, the Voice of Democracy has been the Veterans of Foreign Wars’ (VFW’s) premier scholarship program. Each year, nearly 40,000 high school students compete for more than $2 million in scholarships and incentives. Students compete by writing and recording an audio essay on an annual patriotic theme. Coe-Brown Northwood Academy is proud to announce the top ten graduates for the Class of 2018. The Valedictorian for the class of 2018 is Sandra Black, daughter of Tracy and David Black of Nottingham. During her high school career Sandra has been a member of the Varsity Bass Fishing and Tennis teams. 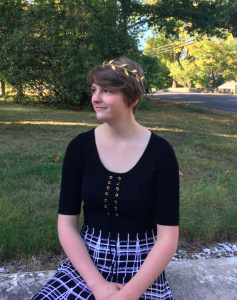 Sandra has also been a member of the National Honor Society, the International Thespian Society including both being both a Regional and State Thespian Officer, the Art Club, student government and she participated in Poetry Out Loud for all four years. Sandra has been accepted to Gordon College with a Presidential Scholarship, Simmons College with a Presidential Scholarship, and the University of New Hampshire with a Presidential Scholarship and the Hamel Scholarship. Sandra has decided to attend UNH with a major in social work. The 2018 Salutatorian is Sarah Dupuis, daughter of Richard and Melanie Dupuis of Barrington. 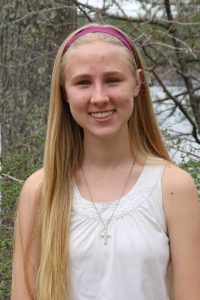 While at Coe-Brown, Sarah has been a member of the National Honor Society, Family, Career and Community Leaders of America (FCCLA), and Peer Helpers as well as being a member of the Cross Country and Track and Field teams and a member of the Student Athlete Leadership Team. Sarah will be attending Sacred Heart University in the fall to study nursing. Paul Colson, of Strafford, son of Casey Colson, Mary Broadstone and the late Burton Broadstone, has been a member of the CBNA Math Team during his years at CBNA. 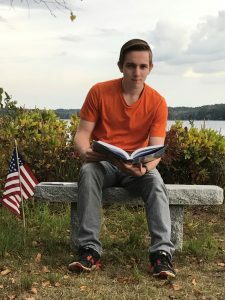 He will be attending Rensselaer Polytechnic Institute in the fall to study electrical engineering and computer systems. 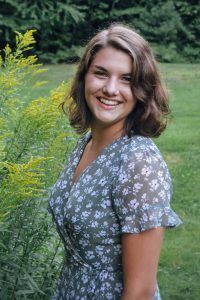 Olivia Lee, daughter of Kenneth Lee and the late Sandra Lee of Strafford, has been a member of the National Spanish Honor Society, the Math Team, the Swim Team, CBNA Writing Center, Project Search and the Russian/Greek Club while a student at CBNA. Olivia has been accepted to UNH and to Middlebury College where she plans to attend to study either Russian or Spanish. Alyssa Reiff, daughter of Bonnie and Gary Reiff of Nottingham, has been a member of the National Honor Society, the International Thespian Society, FCCLA, Peer Helpers, the Writing Center, and Student Government during her years at CBNA. Alyssa plans to attend Messiah College to study Sociology and Anthropology. 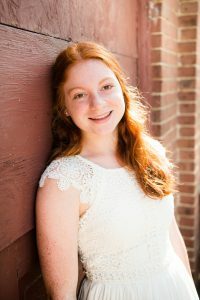 Victoria Sheridan, daughter of Kori and Max Sheridan of Barrington, has participated in CBNA school life by being a member of the CBNA Writing Center, Student Government, FCCLA, National Honor Society, the Ping Pong Club and the Vegetarian Club during her years at Coe Brown. She has been accepted at Hofstra University, Stetson University, University of New Haven, University of Tampa, Ithaca College and George Mason University. Victoria has selected Ithaca College for her studies next year and will major in history with a minor in anthropology. 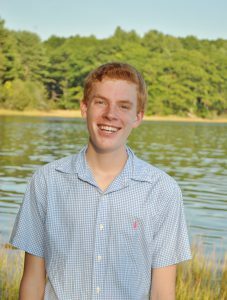 Garrett Skidds, of Barrington, son of Christine Skidds, Vilay Skidds and Steve Skidds, has been a member of the National Spanish Honor Society, the National Honor Society, the CBNA Math Team and the CBNA Writing Center. Garrett will be attending the University of Rhode Island to study cellular and molecular biology in his post-secondary life. 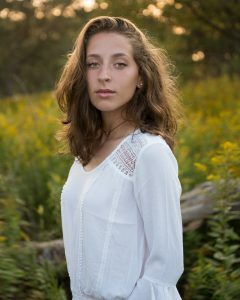 Julia Sommer, daughter of Rhoda and David Sommer of Northwood, has participated in Project Search, the CBNA Writing Center and the International Thespian Society during her years at Coe-Brown. 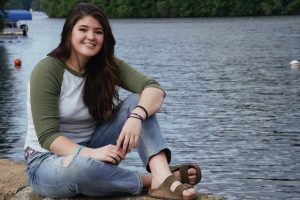 Julia plans to attend the University of New Hampshire to double major in acting/directing and women’s studies when she returns to school in the fall. 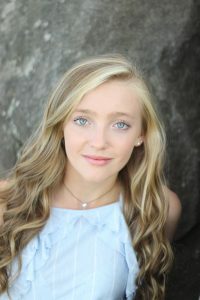 Hailey Stevens, daughter of Jamie and Harley Stevens, Jr. of Northwood has been involved with Peer Helpers, Project Search, the National Honor Society and the New Hampshire Scholars Program while at CBNA. Hailey has been accepted to Colby Sawyer College, the University of Vermont, the University of Maine, the University of New England, St. Joseph’s College, Massachusetts College of Pharmacy and Health Sciences and the University of New Hampshire. 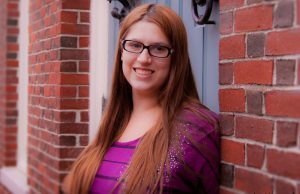 Hailey has chosen to attend UNH to pursue a bachelor’s degree in nursing and a master’s degree in the field of Nurse Practitioner. In addition, the CBNA Class of 2018 consists of 149 students scheduled to receive diplomas on Friday, May 25, 2018, at 6:30 pm. One hundred and fifteen of these students will be recognized as honor graduates and 24 are members of the National Honor Society. Congratulations to the class of 2018. The Coe-Brown Northwood Academy is pleased to announce that this year’s Winter Arts Festival will take place on Tuesday, December 5, 2017, in the main building of the CBNA campus, in Northwood. 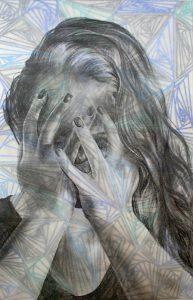 The festival will open at 6 pm to a student exhibition of entries to The Scholastic Art Awards in the Multi-Purpose Room. At 7 pm, the Select Chorus will formally open the evening followed by a visual presentations of award recipients that will be moving on to the regional level of the Scholastic Art Awards of NH, and then performances by the CBNA Concert Chorus and members of CBNA theatre classes. The evening will conclude with a performance by the CBNA Concert Band. Students, faculty, friends and community members are all invited. 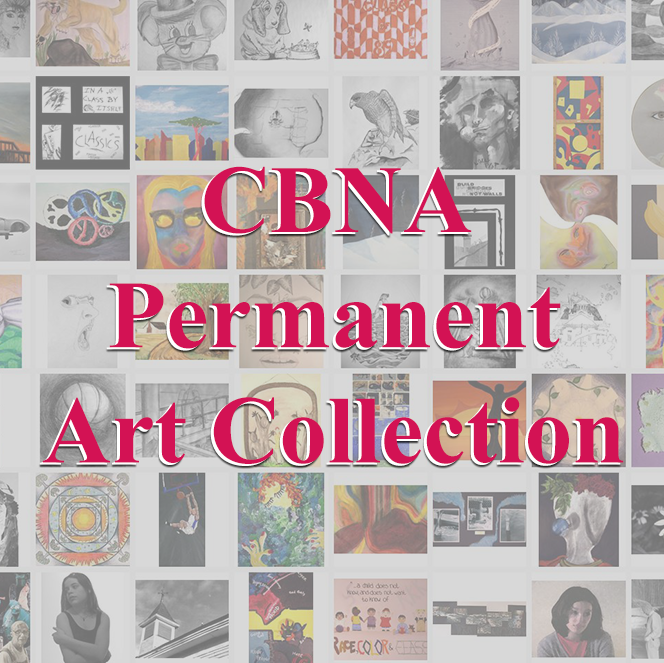 As in the past, this special evening in the arts helps to provide additional financial support for supplies and repairs for the programs of the CBNA Fine Arts Department that cannot be planned for in advance. Your continued generosity is greatly appreciated. 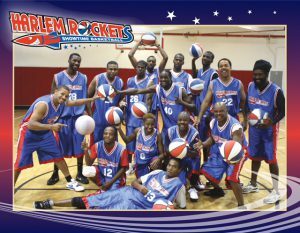 Admission is free to all participating students, while general admission is $5.00 each or $20.00 for a family of four or more. Please join us for a memorable evening of visual and performing arts. Steve Wronker’s Funny Business, a comedy hypnosis extravaganza, will arrive at Coe-Brown Northwood Academy on Friday, September 15, 2017, at 7 pm in the Gerrish Gym on the CBNA campus. 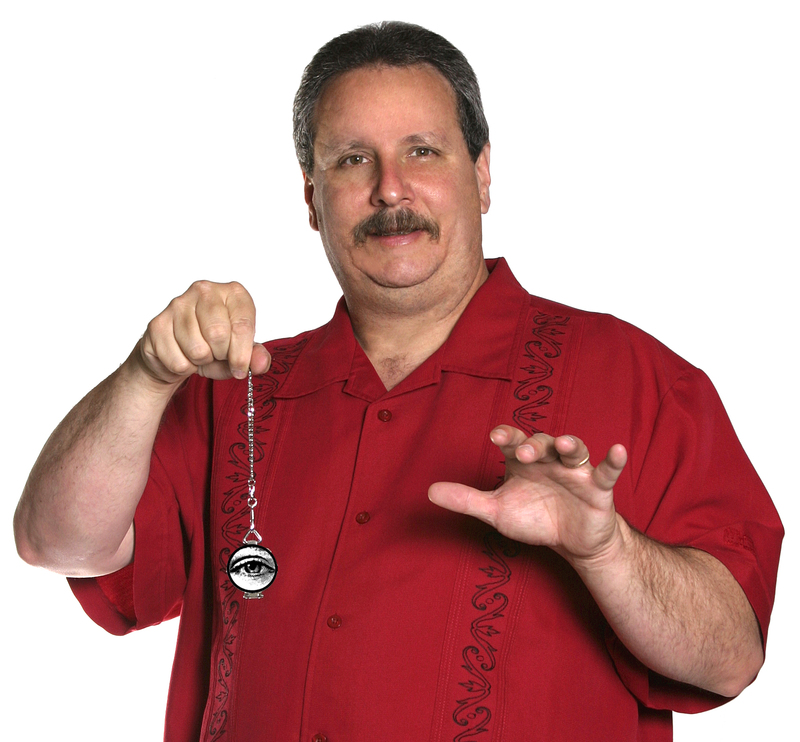 Steve Wronker is a unique entertainer with a unique slant on the most hilarious, the most outrageous, and the funniest form of comedy available in today’s entertainment market, and the SWFB comedy hypnosis show is extremely different from any other hypnosis show available. Audience members become the stars of the show. A true entertainer, Steve puts audience volunteers into his show and orchestrates a program of absolute hilarity! With over 300 family friendly routines to choose from, no two shows are alike! The show is being sponsored by CBNA Theatre and kicks off CBNA’s annual CBNA Homecoming. Tickets are $10 general admission and will be available at the door on the night of the show. Prepare to be thoroughly entertained when you attend Steve Wronker’s Funny Business at CBNA on September 15! The entire CBNA community celebrates being selected for a spot in Newsweek’s top 500 Schools in America list. Three New Hampshire schools were recently recognized by Newsweek’s 2016 Top High Schools list, including Coe-Brown Northwood Academy which was ranked #361 in America. “This recognition and honor is a testament to our strong community of students that are determined and focus on their education as well as the faculty, staff and families that educate, guide them and support them daily. 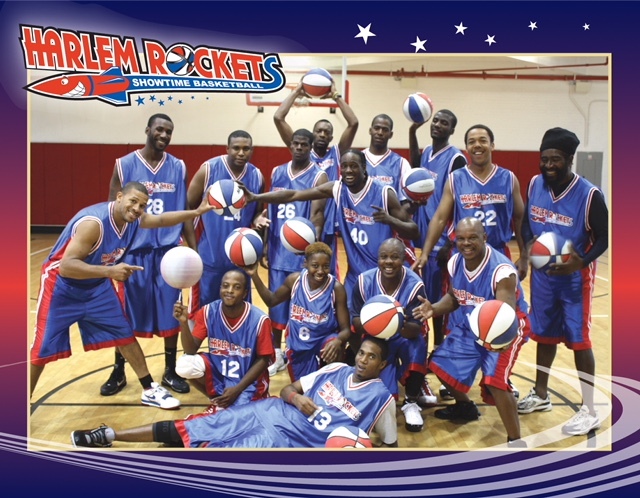 It a dynamic relationship that helps our students succeed,” says David S. Smith, Headmaster. The list includes 500 high schools of over 26,000 in the country, putting CBNA in the top 2% of high schools in the nation. Newsweek selects its schools first by looking at student proficiency on state tests. Then, schools are ranked based on college enrollment rates, graduation rates, weighted AP/IB/dual enrollment, weighted SAT/ACT composite, student retention and counselor-to-student ratio. The recognition validates CBNA’s mission to “strive to produce graduates who are academically and socially prepared to be responsible, caring and contributing members of the global society”. “We are very proud of our CBNA community and we celebrate our students’ achievement,” said Smith. 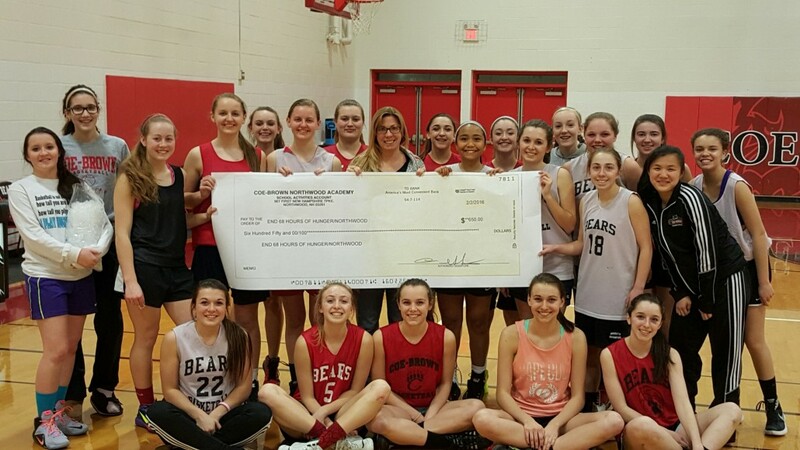 Congratulations to the entire CBNA community for this remarkable achievement.